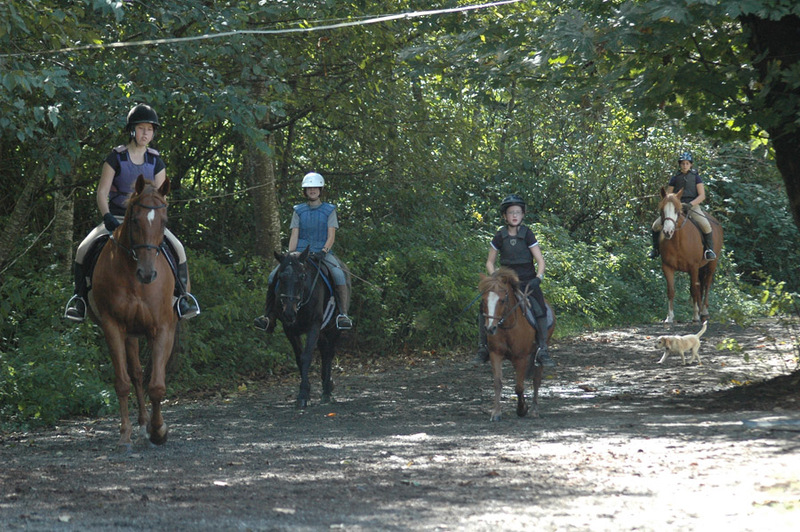 We have excellent facilities at Woodside Riding School and we pride ourselves on being environmentally friendly. Our horses get turned out into large fields, rather than individual paddocks, in groups of approximately 2 to 6. At night they each have their own stall. Our stalls are roughly 12 x 12 with automatic waterers. All stalls are bedded with shavings and rubber mats. 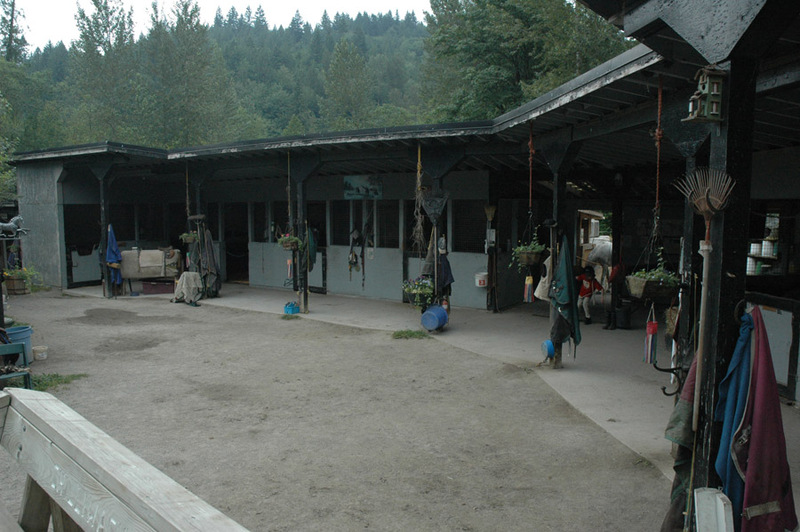 The barn is an open layout so the horses can see out at all times. Our horses actually prefer this setup because it allows for air flow and cuts down on dust. Horses are fed four times daily, meeting their needs on an individual basis. 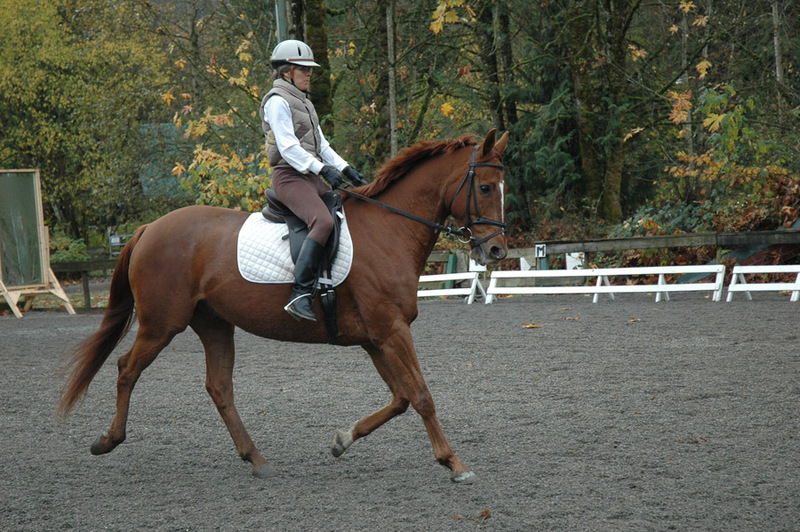 The tack room is available for all riders utilizing the facilities of Woodside Riding School. Those who board horses at the School are provided with storage space for saddles and tack. 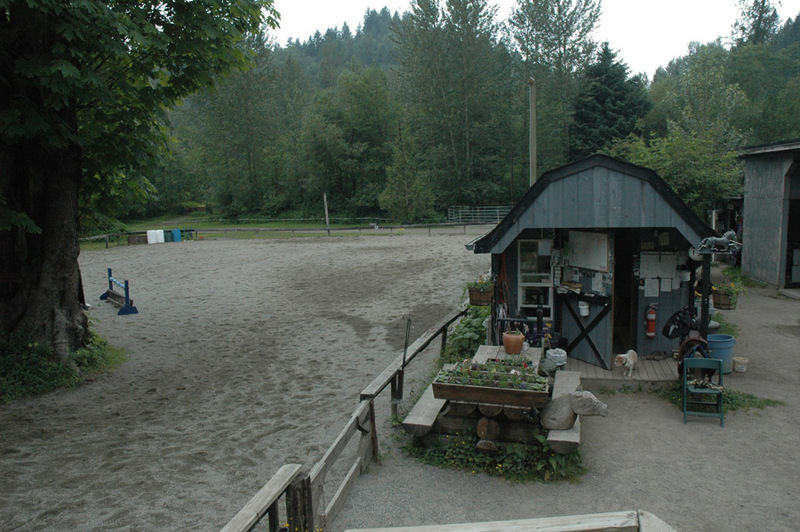 Other areas are available for the storage of grooming equipment and the many other items needed for caring for horses. Both the tack room and washroom are heated for those chilly days. Our riding ring is a great size at 75' x 200' and has a hogfuel base topped with crusher dust and sand, which provides excellent footing. Both Dressage and stadium fences are also available for use. We also have a 1/3 mile track around the property, complete with pre-green and green cross country jumps scattered throughout the fields.